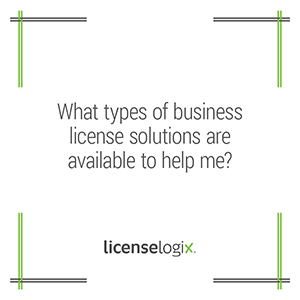 Business license solutions: What are available to help me? You certainly are not the first person to have this concern. In fact, in July 2013 a large metropolitan zoo was shut down because the zoo made the embarrassing mistake of forgetting to file a license renewal. A notable beer company experienced a similar issue in 2011 whereby the company was instructed to remove 39 brands of beer from every restaurant, bar and liquor store in the state of Minnesota. This action resulted from a missed renewal filing of a $30, 2 year license. Missed license renewals and filings can cause a company to incur significant fines and penalties in addition to loss of business costs and brand deterioration. Given the current economic environment, government agencies are seeking ways to maintain revenues and cracking down on business license compliance is one way in which they achieve that goal. Ensuring your business is operating in compliance with the law is extremely important and challenging considering legal requirements and renewal dates are different across industries and jurisdictions. Managing various license requirements, renewal dates and report filings for multiple locations every year is a burdensome task which often leads to frustration, missed renewals and overlooked filings. Many organizations lack the technology to handle the complexities of license management or use unreliable spreadsheets and calendars. The experts at LicenseLogix have the knowledge and technology to provide you and your company with the assurance that your license portfolio is in compliance. The License Assessment Package allows your business to “clean house” with respect to its licenses, permits & registrations. Often this process is most valuable when an organization endures a transition including the succession of an employee responsible for the company’s compliance as well as during a merger or acquisition. Other times, a business may experience growth and can often lose control of the license filings & renewals. Whatever the circumstance, LicenseLogix has the experience to get your license portfolio in compliance and the technology to make your life simpler going forward. LicenseLogix developed a web-based business license compliance software tool specifically designed for managing license filings and renewals. Our Client License Information Center (CLiC) allows companies across various industries in all 50 states to effectively and efficiently manage their license portfolio. Keeping track of renewal dates for various licenses is challenging and time consuming. LicenseLogix eliminates the hassles of business license management with our secure, easy to use Client License Information Center (CLiC). CLiC allows you the ability to quickly access all license information in one central location. Perform research to identify license obligations associated with future business initiatives – new locations, added business lines etc. LicenseLogix offers the best business license solutions for your company. Our solutions provide a cost effective and efficient means to managing your license portfolio. Working with LicenseLogix gives you access to a team of knowledgeable and friendly legal professionals dedicated to meeting your corporate compliance needs. Our expertise and experience in business license management allows you the greatest advantage of all – peace of mind and the ability to focus on your business. For a free consultation or CLiC demo, fill in the form to the left or call us at (800) 292-0909.